Amy Wiggs sent in this shot. "On July 19, Capital Regiment had a free night in downtown San Antonio after our show at the Alamodome. 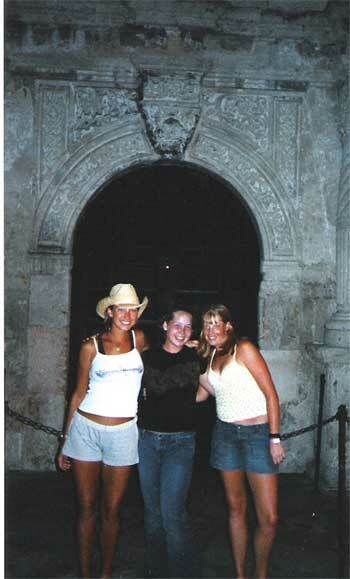 This is a picture of me and two other Capital Regiment horn girls in front of the Alamo. This was our first time in Texas and we were really excited about seeing all the sights. (From left to right) me (Amy, baritone), Sarah (baritone) and Mellissa (mellophone)." Thanks Amy!